Oh my Theresa, Today (yes, today) I uncharacteristically posted on Facebook “I want my mommy…” and while I was at a restaurant she sent me a sign that filled my eyes with tears. Truly there ARE signs and may we always be open in heart and eyes so that our hearts can be filled. You are welcome; nothing is random. Beautiful, and mystical, and such a warm embrace from the ALL which is greater. Blessings to know that the dead are never dead, but continue to touch us if we are paying attention. Namaste . . . I know this is so true! Its happened to me repeatedly Theresa! Especially when I least expect it and need it most! I am so glad you have been gifted with this special blessing as well. I think it’s out there for all of us, but sometimes, we refuse to see. i believe in signs. when i run, I swear i can hear my friend’s voice talking to me and i can see him a few feet ahead of me running – his blue shorts, white running hat, gray sleeveless shirt and Brooks shoes. Continuing bonds are just that…”continuing…” My blessings to you. Thank you for taking the time to read and comment; it is appreciated! the energy of your words here sent quiet shivers through me as I have flowers/shrubs that bloom out of season…My Spirea blooms when I think of my grandmother and a lifetime family friend Effie….usually in Winter and sometime in between Autumn and Winter…. “The energy of your words sent quiet shivers…” MaryRose – this is what I started Soul Gatherings for – to somehow, someway, touch someone. I send you Spirea blooms in gratitude. 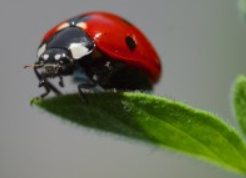 Thank you for your ladybug pictures and following my link. By doing so, you help to remember my mother. My grandad died on the second of November nearly 40 years ago. My nanna and grandad were the happiest married couple I have ever known so, as you can imagine, my nanna was devastated when my grandad passed away. Up until then my grandparents had kept a lovely garden. My nanna tended the fruit and vegetables, and my grandad had a large rose-bed. The year after my grandad died, the roses bloomed the following summer as usual but then they were in bloom again for the 2nd of November. My nanna knew then that grandad hadn’t forgotten her. She passed away a few weeks ago at the age of 99. Grandad has been waiting a long time for her but they’re finally re-united. I didn’t think about the different places the poppies could appear. Thanks for the extra guidance. I’ll keep an eye out. Truly beautiful! My dad was a wren that visited me for a year in front of my work building dowtown Toronto. Thank you for taking the time to read the link. Keep an eye out for the wren; I’m sure it never really left. I have nothing like that for either if my deceased parents, but they are rernembered just the same. Lovely way to remember. 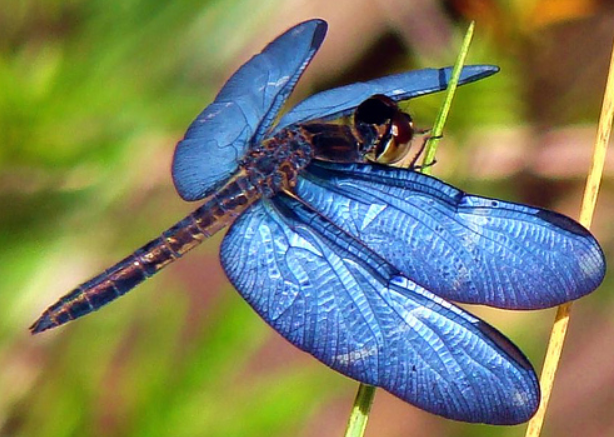 My daughter and I both like butterflies and dragonflies.